Brunch is a big deal in Portland. Why? There are probably a lot of reasons. My theory is a combination of giving us a valid excuse to have alcohol with our first meal of the day and that the restaurants here take brunch seriously, offer a wide array of creative takes on the standards. 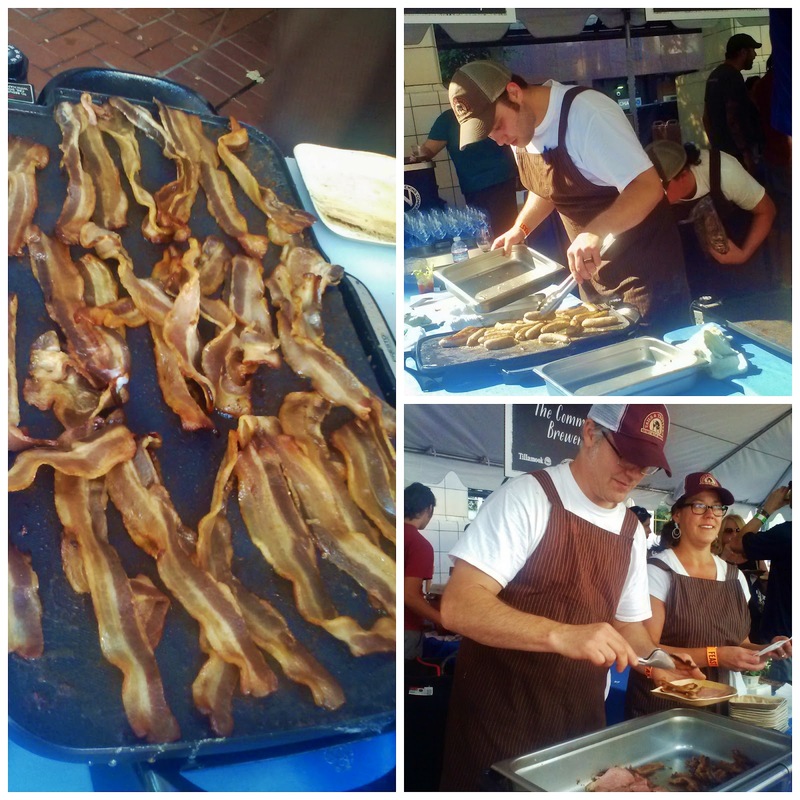 Whatever the reason, the Feast Portland Tillamook Brunch Village was a true reflection of what brunch means in Portland. 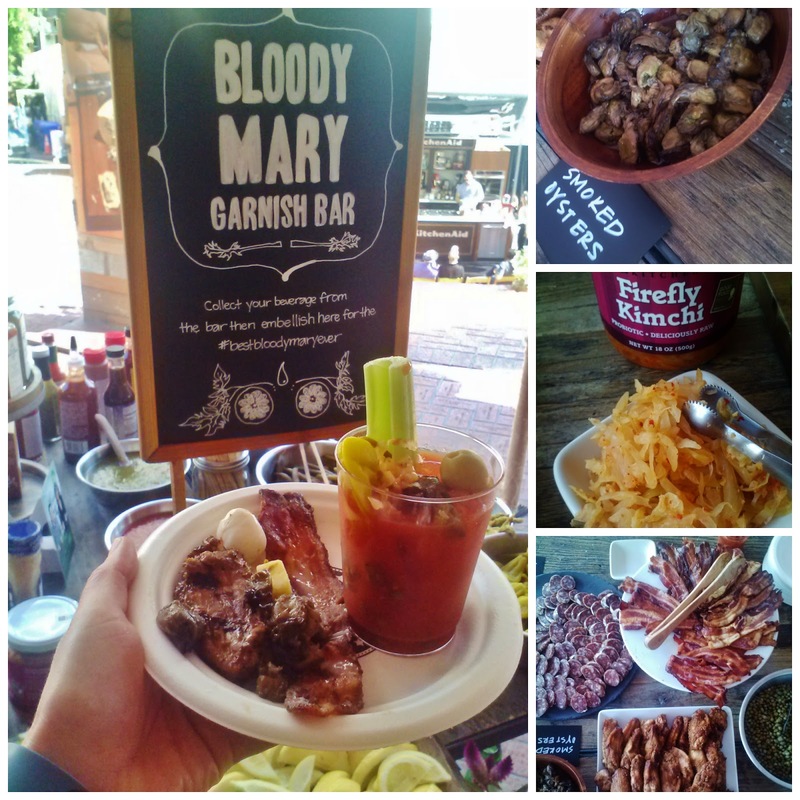 The Bloody Mary is a brunch staple with many places offering a build-your-own bar; the one at Feast was the granddaddy of them all and my first stop. For the cocktail-leaning crowd, there were plenty of mimosa-style options, including frozen drinks, a light gin fizz, a refreshing apple/whiskey combination and a beer-mosa from Widmer. Not to be left out, for the straight up, "I'll have a beer" crowd, The Commons, Ninkasi, Fort George, Deschutes and the aforementioned Widmer, were pouring a variety of hop juices to please any palate. Taking the opportunity to try sips and bites together I found The Commons Brewery's flagship, Urban Farmhouse Ale, and Tails and Trotters' plate of bacon, ham and sausage to be a match made in heaven. Another winner in my personal beer and food pairing game was Fort George's Cavatica Stout with a mildly sweet crepe topped with cherry sauce from The Baldwin Saloon (The Dalles). 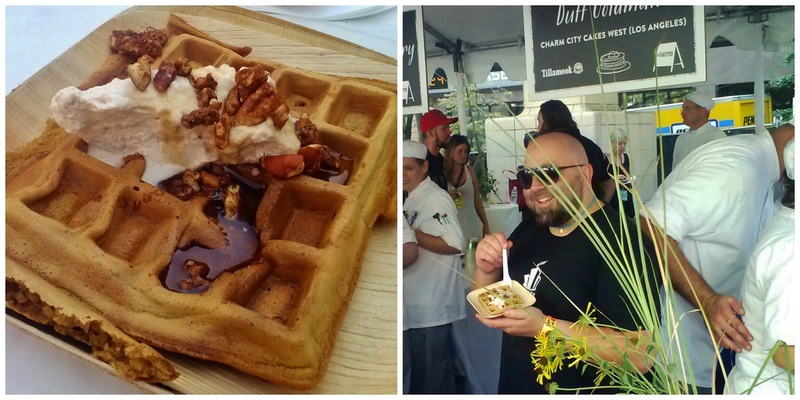 It was one of only two sweet offerings I enjoyed with the other being the more-than-the sum-of-its-parts waffle served up by Charm City Cakes West and Duff Goldman himself. Like most of my brunch outings, I rolled out of the door happily stuffed with all the treats, liquid and solid, I could manage. Guest post from beer geek and blogger Kris McDowell. If you're so inclined, check out her blog, find her on Twitter or see what she's been eating and drinking on Instagram.